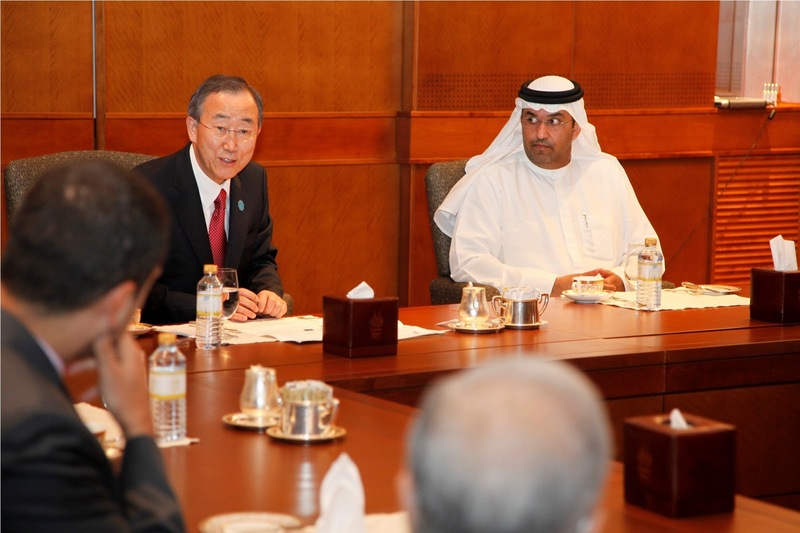 ABU DHABI – January 18, 2011 – On the opening day of the World Future Energy Summit (WFES), Ban Ki-Moon, UN Secretary General, gave an address to the Young Future Energy Leaders (YFEL), an initiative led by Masdar Institute. YFEL was established by Masdar Institute, to raise the awareness of students and young professionals in the fields of renewable energy and sustainability. During WFES, Masdar Institute will also be hosting a range of events at the YFEL stand, including: on Tuesday January 18th – Dr Susan Hockfield, MIT President, visits YFEL; YFEL Debate: Enforcing Recycling on a Global Scale; Wednesday January 19th – Industry Update: International Wind Association and London Array Project Presentation and Case Study; YFEL Debate: The Challenges that USA Faces in Reducing their Carbon Footprint; Thursday January 20th – YFEL Debate: Policy Update. 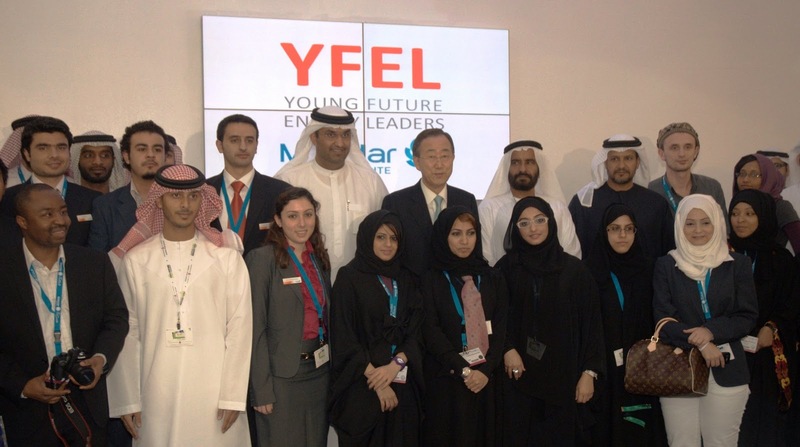 Ban Ki-Moon, UN Secretary General, Mohammed Salem Bin Kardous Al-Ameri, an Emirati philanthropist and donor to YFEL, and His Excellency Dr. Sultan Ahmed Al Jaber, CEO, Masdar, with the Young Future Energy Leaders on the opening day of the World Future Energy Summit.